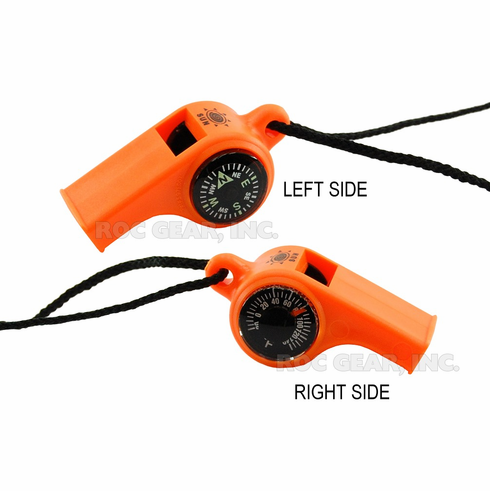 This compact and lightweight little safety tool acts as a safety whistle, a compass, and a themometer. Both the compass and thermometer are liquid filled for easy reading and steady performance. The temperature range is from -30 degrees F to +140 degrees F. Sold in units of 1 each, and includes lanyard. Shown from either side, in order to show both the compass and the thermometer.